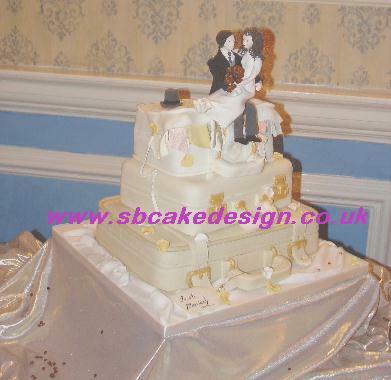 SB Cake Design offers a friendly and professional service to celebration cakes for all ocasions. consultation service and set up at your chosen venue included in the price. Chocolate Wedding cakes are a popular alternative to traditional cakes and Sue's delicious recipe of a rich, dark, moist cake, is a flavour to savour, as well as offering the option to be served as a luxurious dessert. 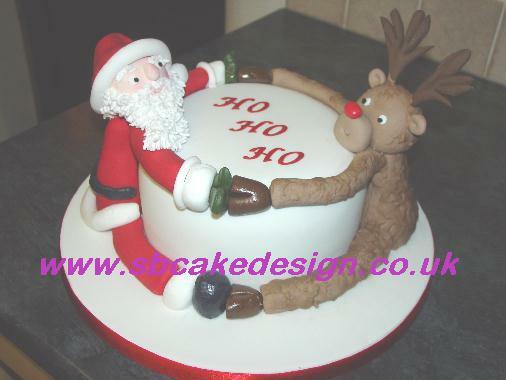 "Oh no I don't want to cut it I want to keep it"
larger function, the size of the cake can be made to suit. 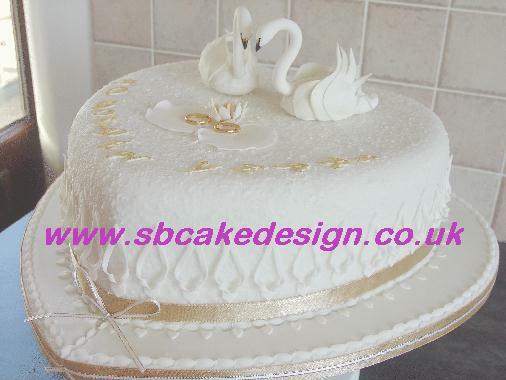 The cake design you desire, is limited only to your imagination! Please take time to browse through the picture galleries, which I'm sure will help to inspire you! 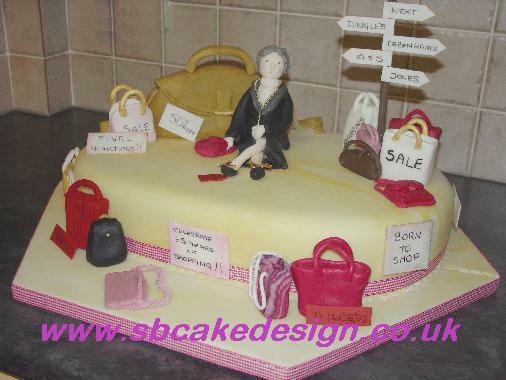 The galleries provide a flavour of the different cake designs but are not an exhaustive catalogue of everything available. Just click on the appropriate text or picture. If you would like to consult me prior to placing an order or to place an order, you can contact me either via email or telephone, details can be found on the Contact us page. I look forward to hearing from you.